At Dave's Bernina, we have exacting standards when it comes to the products we offer to our customers. That's why we offer Fashion Sewing Cabinets. 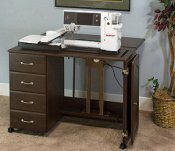 Fashion sewing cabinets and tables are constructed with high quality products that will still look beautiful after years of use. All thier furniture is made right here in the US and has been for over 30 years. 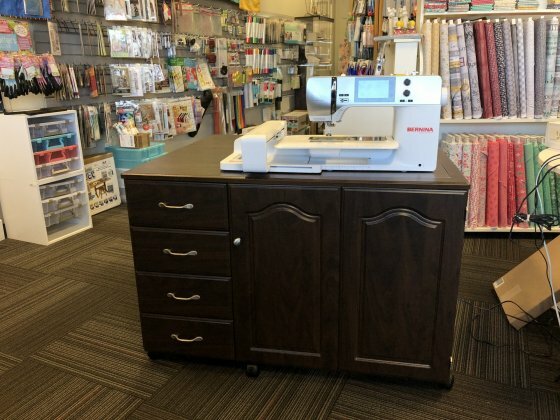 Each piece Fashion Sewing Cabinets makes is full of great innovations that are both convenient and comfortable to the serious sewer, and they stand behind every piece they sell. That's important to us and important to you. We carry a wide variety of furniture in every price range, so stop and take a look.